Last year at around this time (or a month earlier, perhaps), I posted galleries of cinematic and TV spaceships from the 1970s, 1980s, 1990s, and 2000s. This time around, I'm going to remember robots of different eras, beginning with my favorite age: the 1970s. 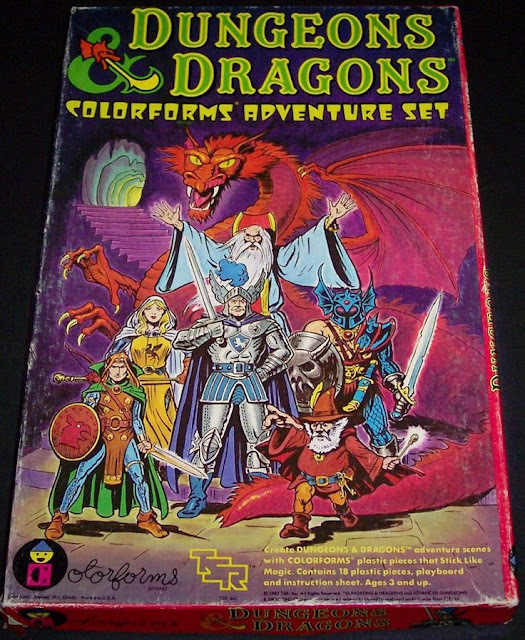 These are the robots I grew up with, you might say. They also hail from TV and film, and run the gamut from humanoid to astromech. 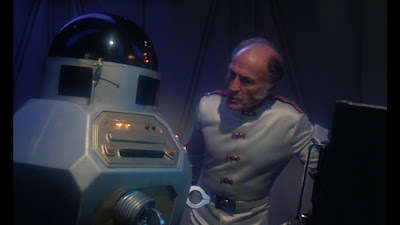 Obviously, Star Wars (1977) is a huge influence on the robot designs in this gallery (post-77). Next time, I'll remember the 'bots of the eighties. 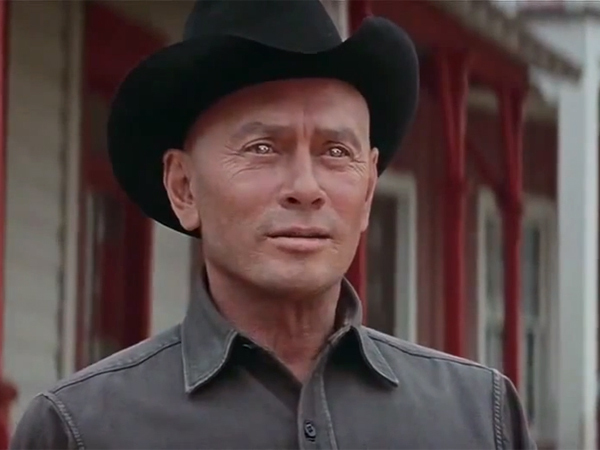 Identified by SGB: The Gunslinger; Westworld. 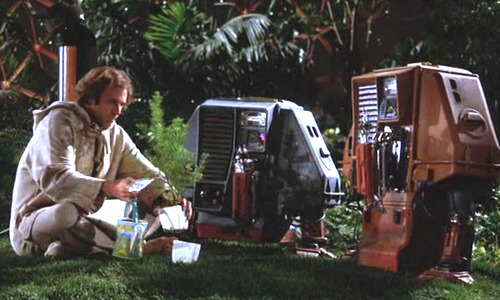 Identified by SGB: Silent Running. Identified by SGB: MechaGodzilla; The Terror of MechaGodzilla. Identified by SGB: Kolchak: The Night Stalker. Identified by SGB: Brian the Brain, Space:1999. 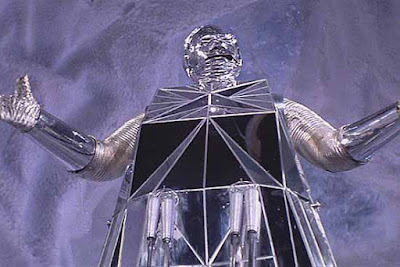 Identified by SGB: Box, Logan's Run. 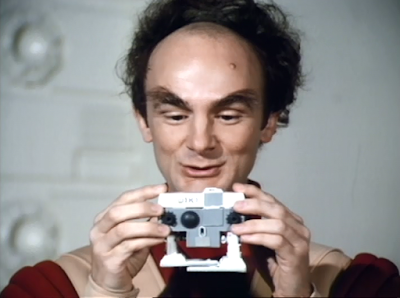 Identified by SGB: Andy, Quark. 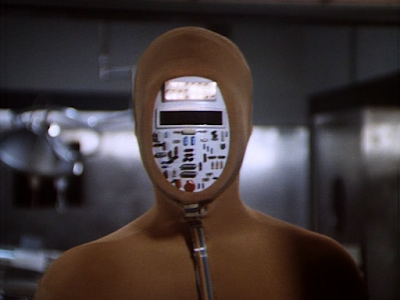 Identified by SGB: The Six Million Dollar Man. Identified by SGB: Peepo, Space Academy. 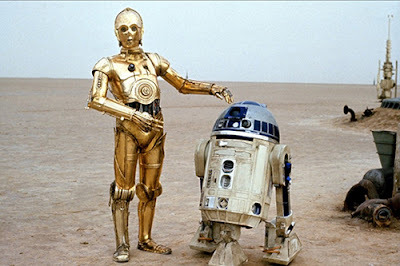 Identified by SGB: C3PO, R2D2, Star Wars. Identified by SGB: Mystery Island. 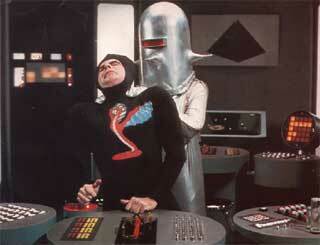 Identified by SGB: Friend, Logan's Run: "The Innocent." Identified by SGB: Cylons, Battletar Galactica. Identified by SGB: Battle of the Planets. Identified by SGB: K9, Doctor Who. Identified by SGB: Twiki, Buck Rogers in the 25th Century. 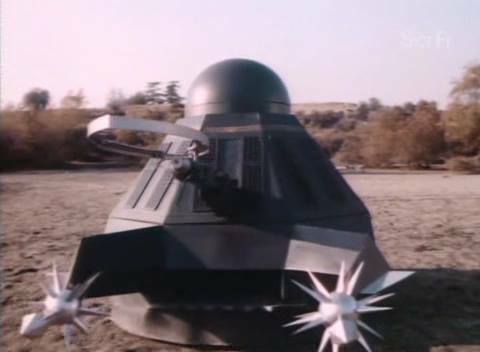 Identified by SGB: Maximillian, The Black Hole. Identified by SGB Sparks, The Shape of Things to Come. Identified by SGB: W.I.K.I. Jason of Star Command. Identified by: Dngillika: H.E.R.B.I.E. ; The Fantastic Four. 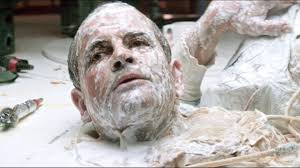 Identified by SGB: Ash, Alien. 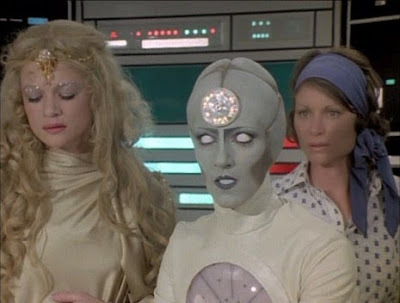 Identified by SGB: V'Ger, V'Ger Probe, Star Trek: The Motion Picture. Excellent subject. 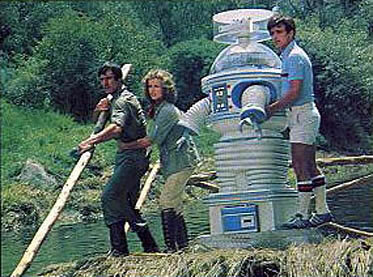 That was why I purchased STARLOG ROBOTS Photoguidebook way back in the early '80s. 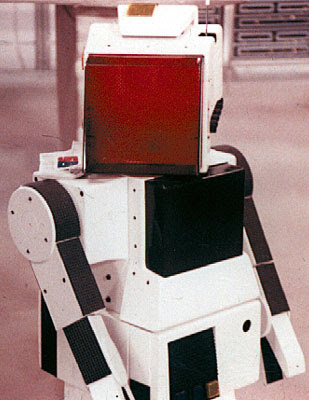 #6 Space:1999 "Brian The Brain"
Hi SGB, brilliant identification of these beloved robots of the 1970s. You rock! No. 1 is Yul Brynner in Westworld. No. 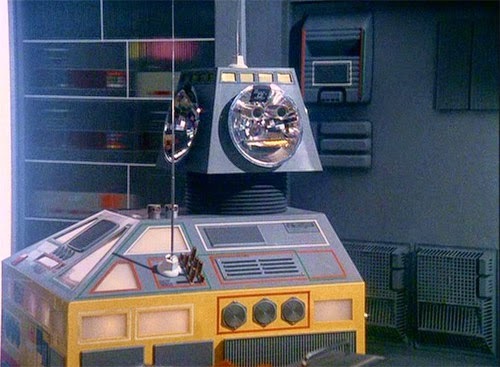 10 is the machine from The Six Million Dollar Man's 2 "Death Probe" episodes(both were 2-parters). No. 12 is C3P0 and R2D2 from Star Wars. No. 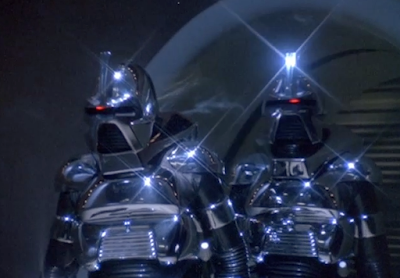 17 appears to be the Cylons from Battlestar Galactica. No. 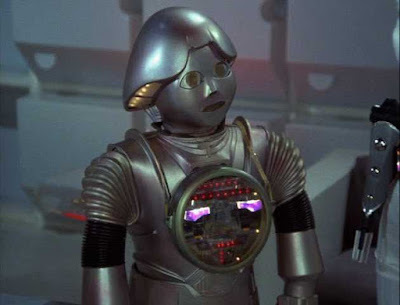 20 is Twiki from Buck Rogers. No. 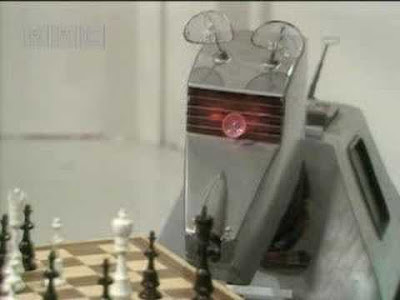 21 is the Maximillian robot from Black Hole. And I think no. 26 is Analyzer from Space Battleship Yamato. Avi: Excellent work! 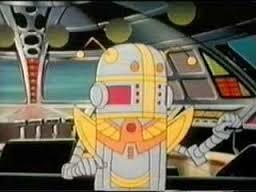 You know your 1970s 'bots and droids, for sure! Let's get the easy ones out of the way, first. 2.) Two of the three service robots Freeman Lowell named after Donald Duck's nephews in Silent Running. 6.) 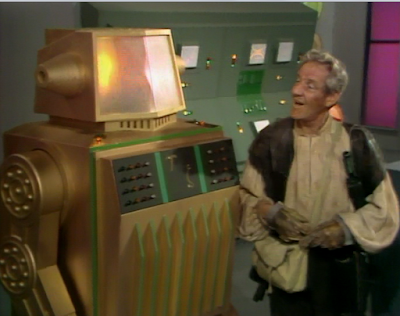 Brian the Brain from the episode of the same name of Space:1999 (voiced by Bernard Cribbins). 7.) Box from Logan's Run. 9.) 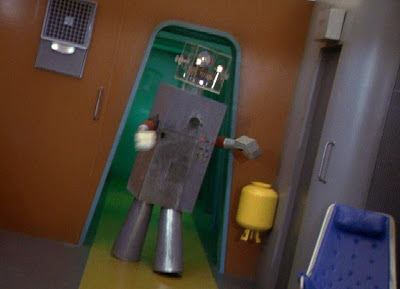 Andy the Robot from Quark. 10.) 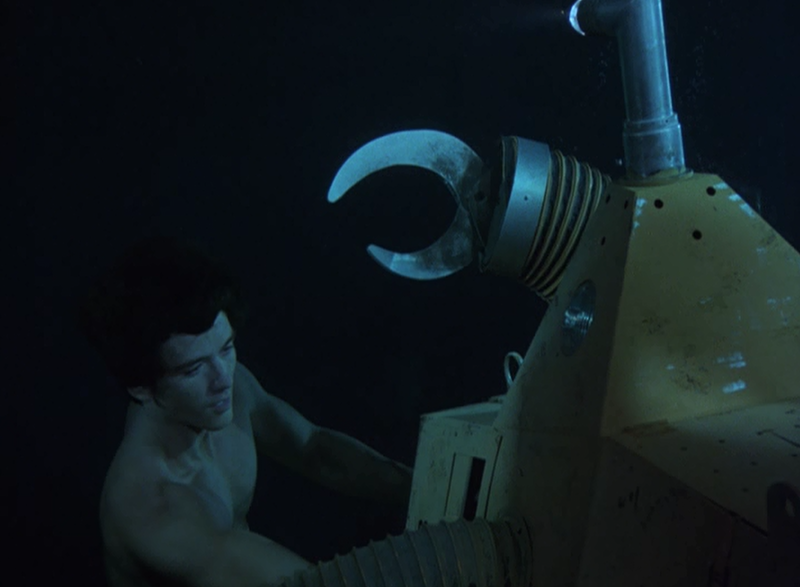 The Venus Probe from the Six Million Dollar Man. 12) FREE SPACE, er, C-3PO and R2-D2 from Star Wars. 18.) 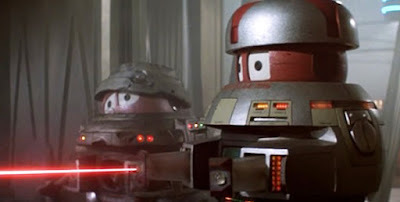 "And watching over them from Center Neptune, their computerized coordinator, 7-Zark-7" - Battle of the Planets. 20.) 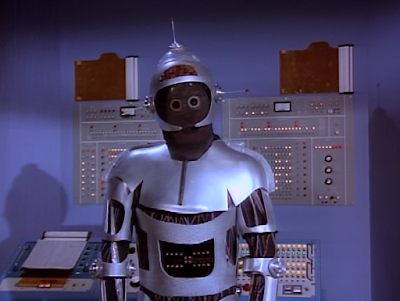 Twiki, Buck Rogers in the 25th Century. 23.) 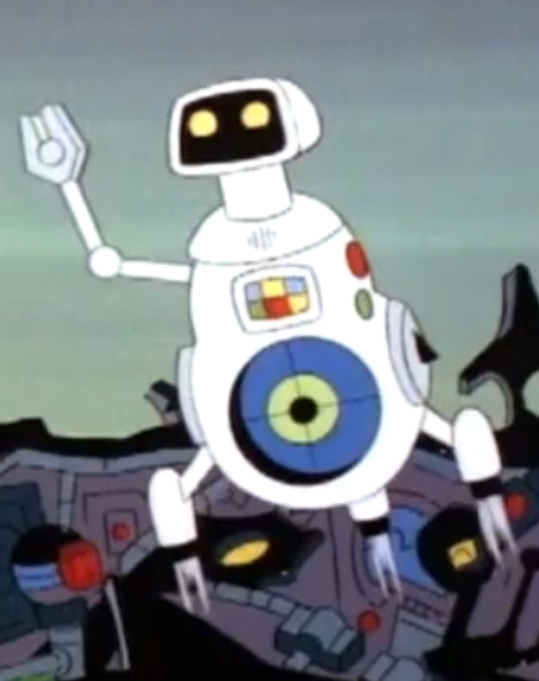 Wiki from Jason of Star Command. 24.) H.E.R.B.I.E. The Robot, the Fantastic Four. 26.) 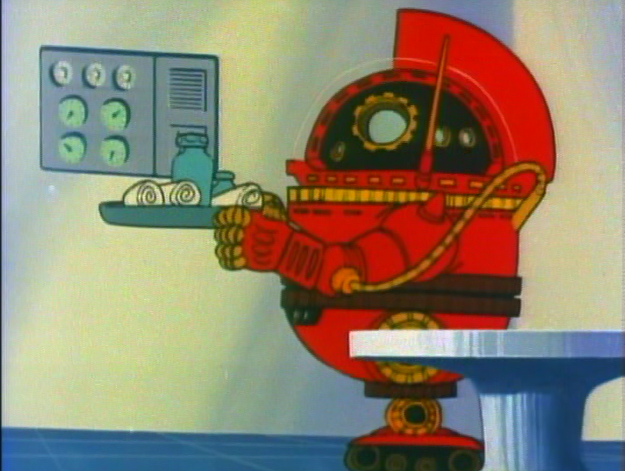 IQ-9 (Analyzer in his native Japan), Star Blazers. 27, The Ilia-probe, from STAR TREK: THE MOTION PICTURE. Great job! You are very conversant in disco decade robots, sir!